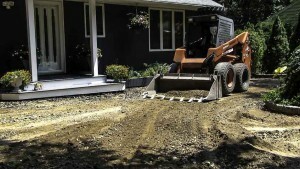 As your Paving Contractor our first job is to excavate and remove existing gravel, asphalt or cement pavement. 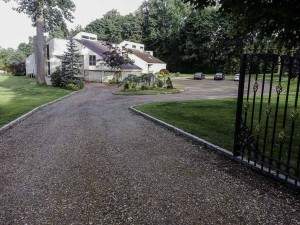 We then remove existing organic materials such as grass, weeds or brush as necessary to clear the ground for your new asphalt driveway. All excavated materials are trucked off site to a recycling center. 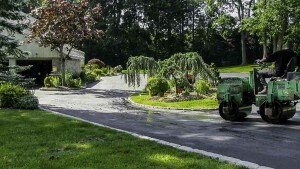 The RCA stone blend base is installed to specification as a foundation prior to the new asphalt surface placement and we compact it with a vibratory power roller. 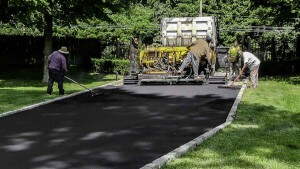 The hot asphalt is installed by paving machine or hand raking to specification at 300°F. 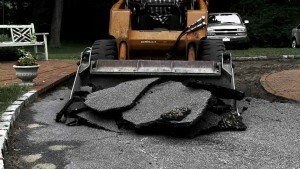 The final phase of asphalt paving is to compact the surface with our vibratory power rollers.